The Classic Oak Extension Dining Table Top is made from solid oak. 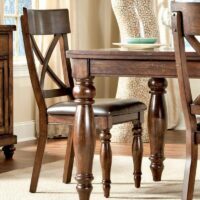 It’s a traditional American dining table that is built to last for generations. It’s finished in two high quality lacquer finishes, Burnished Rustic and Classic Chesnut. 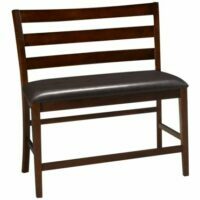 The Kingston Dining Bench has a rich, plantation style design with large turned legs and black polyurethane padded seating. 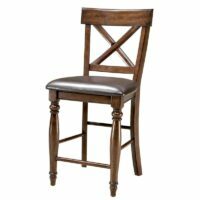 It has a unique hand distressed finish with raisin stain highlights. 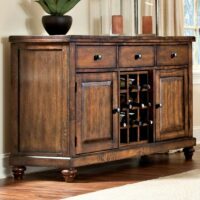 The Kingston Dining Server has a rich, plantation style design with turned legs. 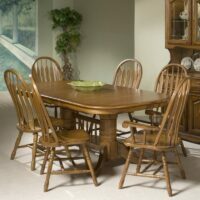 The Kingston Extension Dining Table has a rich, plantation style design with large turned legs. Chairs are sold separately. 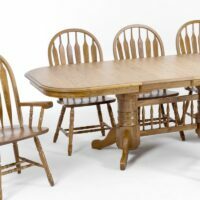 The Kingston Extension Gathering Table has a rich, plantation style design with large turned legs. Stools are sold seperately. 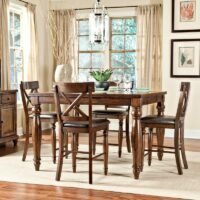 The Kingston Extension Gathering Table and stools have a rich, plantation style design with large turned legs. 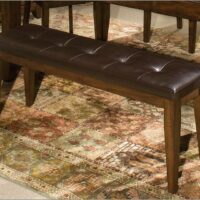 The Intercon Kona Bench with Cushion is made of solid mango wood with a hand distressed brushed raisin finish. Do you want a dining room with the sophisticated appeal of a trendy bistro? Try the Intercon Kona Dining Room Collection. 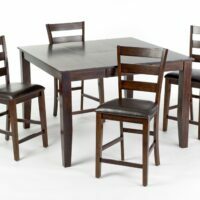 The beautiful Kona Dining Room Collection offers options galore for you to create exactly the look you want. 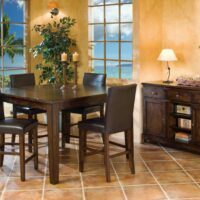 The Intercon Kona Drop Leaf Dining Table is made of solid wood with a hand distressed brushed raisin finish. 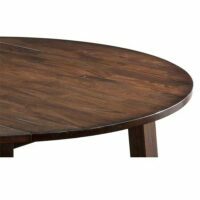 The Kona dining table has a simple, contemporary look and goes well with other dark wood furniture. It’s a perfect small table for your next dinner party. The drop leaf table can be used in a kitchen or as an accent table. 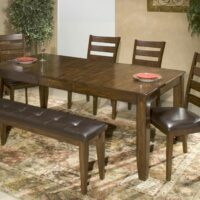 The these are solid wood dining tables made from eco friendly Mango wood. 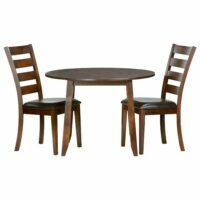 Do you want wooden dining room tables with the sophisticated appeal of a trendy bistro? Try the Intercon Kona Dining Room Collection. Sleek lines and rich “raisin”-stained mango wood deliver an exotic flavor. 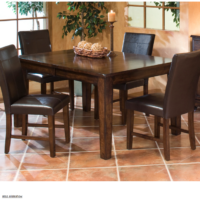 The beautiful Intercon Kona Dining Room Collection offers options galore for you to create exactly the look you want. Kona Counter Height Bench features vinyl seating and are is constructed from luxurious solid mango and other select hardwoods. 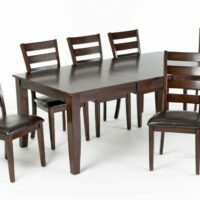 The Kona Extension Table set is perfect for everyday dining to entertaining. The Kona Extension Table is perfect for everyday dining to entertaining. The Kona Ladderback Counter Stool matches with the Kona Gathering Table. 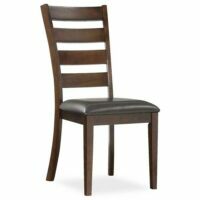 The Kona Collection is made from luxurious solid mango and other select hardwoods. The distressed raisin finish is perfect for any decor! 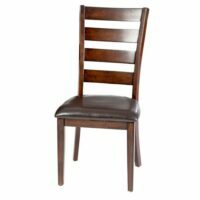 The Kona Parsons Chair is made of solid mango wood with a hand distressed brushed raisin finish, upholstered seats and front-and-back seat backs.